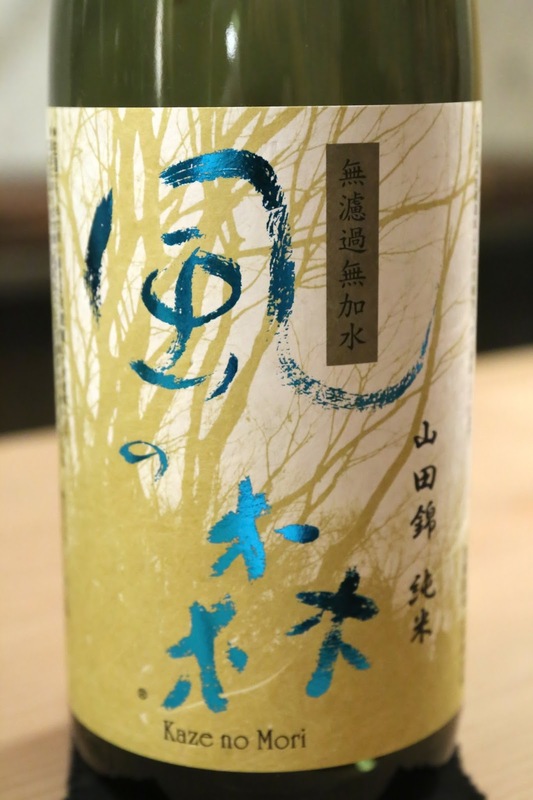 Zarusouhourai Junmai Ginjo Queeen Nama (残草蓬莱 純米吟醸 クイィーン 生), 2016 - served at 12°C. 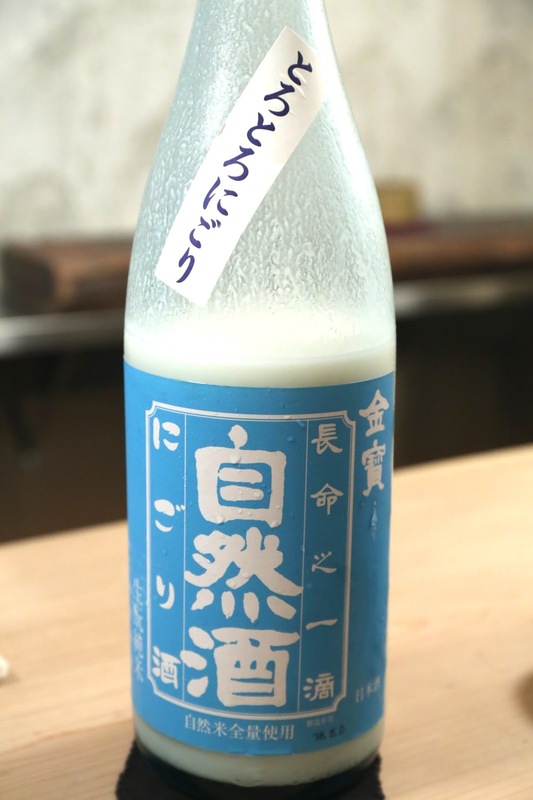 An unpasteurized cloudy sake (薄にごり) with a seimaibuai (精米歩合) of 60%. 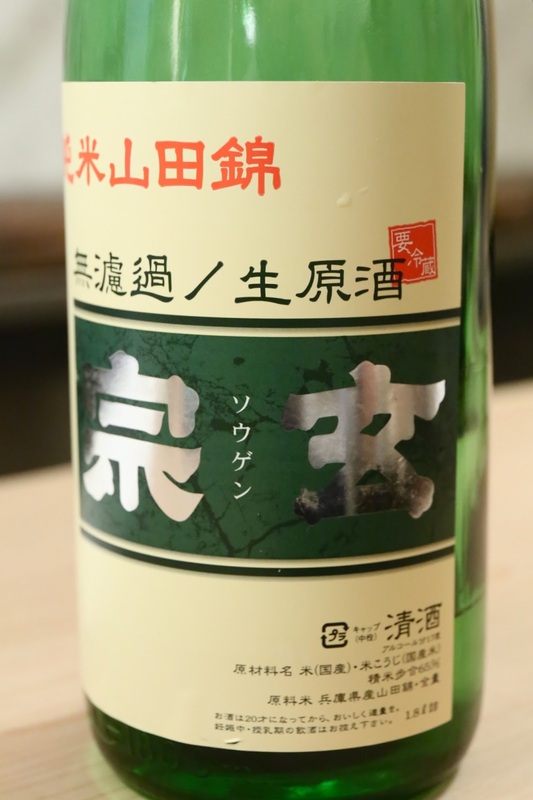 This showed strong fermented rice flavors, almost like an overripe peach with that alcoholic flavor. 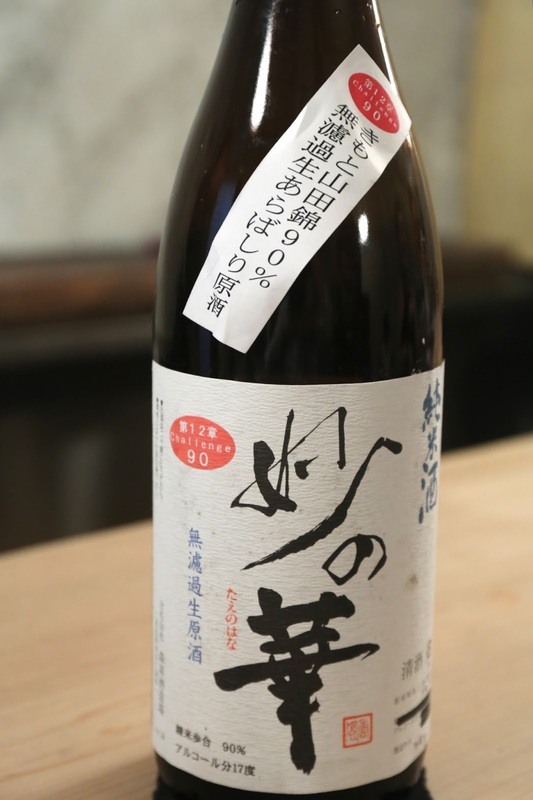 Taenohana Kimoto Junmai Nama 90% (妙の華 きもと純米生), 2016 - served at 18°C. With a very high seimaibuai at a whopping 90%. 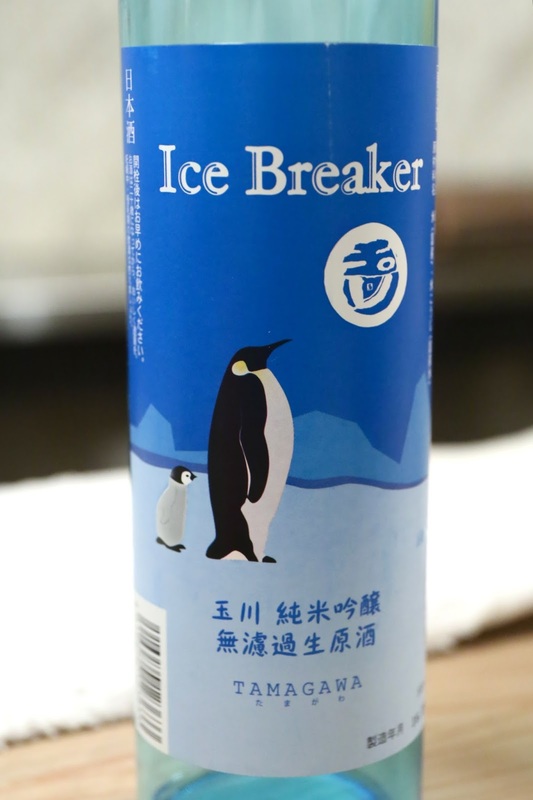 A little viscous, almost a little creamy with some acidity... like drinking Calpis (カルピス). 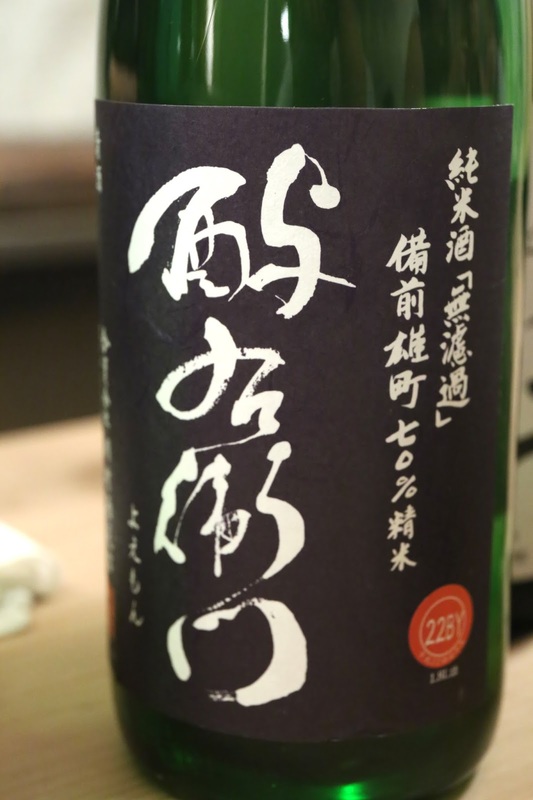 Nice and elegant on the attack, sweet but with a spicy finish.